Capital is the wealth, whether in money or property, owned or employed in business. This includes financial capital (e.g. money), capital goods (e.g. equipment), human capital (e.g. labor), and land. Capital is necessary whether your goal is to start a business, expand your business, improve efficiencies within your business, or increase wealth, and this guide is designed to help you identify sources of capital and make smart decisions about accessing it. When considering any capitalization plan, it’s important to consider whether that opportunity is a good match for what you want to achieve and that it supports your personal and business goals. Identify what the costs will be in money, time, and labor, and determine whether the costs are worth it. Going after an opportunity simply because it is available may not benefit you and your business. The three basic sources of capital are: inside your business, your personal resources, and external to your business. Reinvest profits: Reinvesting profits could mean purchasing new assets or using the profits as working capital. Sell idle assets: You can turn underutilized assets into capital by selling them. Lease instead of buy: Leasing can provide tax benefits, because you can write off the entire cost of leasing as an expense, but when you own an asset, you can only write off the interest. Increase profits by cutting expenses, raising prices, or improving production efficiencies. Sweat equity: Is there a straightforward way to turn your labor into capital? Whatever the external source of capital, it’s important to make sure that the expectations and limitations of your agreement are clear and understood by all parties. Also, recognize that you lose some control when you are dependent on an outside source for capital. Loans or gifts from friends or family: If you have friends or family with resources, it’s important to consider the potential personal cost of a loan or gift. Will it change the relationship, and is it worth the risk? Private investors: Are there people in your network that might be interested in investing in your business? Banks and other traditional lenders. Customers: The CSA model is a good example of a way that farms can turn to their customers for capital when the farm needs it. Government programs: Opportunities include cost-sharing, fuel discounts, exchange for conservation restrictions, and more. The Carrot Project: Focuses on small loans (up to $15,000) to small and mid-sized farms that use sustainable and organic methods (or are moving towared them), and are active in local food networks. Common Capital: A regional small business loan fund that provides gap financing and loans when traditional capital is insufficient or unavailable. Farm Credit East (formerly First Pioneer Farm Credit): Part of the national Farm Credit system; provides a range of financial services for farmers, including loans, leases, tax and accounting services, succession planning services, etc. The FarmStart seed capital program offers working capital loans up to $50,000 to new farm businesses and farm cooperatives. Farm Service Agency: An arm of USDA, FSA provides a variety of assistance programs, including loans and loan guarantees. The FSA has programs to assist beginning farmers and ranchers who are unable to obtain commercial financing, including a down payment farm ownership program. Franklin County Community Development Corporation (FCCDC): Offers loans to small businesses, both start-ups and existing businesses in Franklin County. PVGrows Loan Fund: Has funds available for equipment, working capital, start-up expenses, etc., and is an alternative for borrowers who may not fully qualify for more traditional bank financing. Quaboag Valley Community Development Corporation (QVCDC): Offers loans to small businesses, both start-ups and existing businesses in its 15-town service area. Berkshire-Pioneer Resource Conservation and Development Area, Inc (BPRC&D): This non-profit organization based in Amherst, Massachusetts partners with state and federal agencies to offer the Massachusetts Farm Energy Program (MFEP), which offers technical assistance, incentives, and cost-sharing for renewable energy and conservation projects on farms. 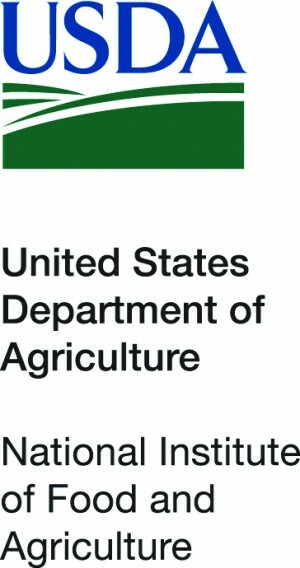 Mass Department of Agricultural Resources (MDAR): Links to a variety of technical assistance, grant, and resource programs offered by MDAR, including farm environmental, energy, land preservation, and other programs as they become available. Natural Resources Conservation Service (NRCS): Offers cost sharing and technical assistance programs for farms that voluntarily practice land conservation and stewardship in Massachusetts. Programs include the Environmental Quality Incentives Program (EQIP) and the Conservation Stewardship Program (CSP). Northeast Sustainable Agriculture Research and Education (NESARE): NESARE, a program of the USDA, offers the Farmer Grant Program to develop, refine, and demonstrate new sustainable farming techniques. Click here to return to the Financial Planning and Decision Making page.